The skyline opens up in front of me – extending further and further to either side as it rapidly shrinks into the distance. Elbows on the warm railing, the ground shifting gently beneath my feet, I take a deep breath of salty air. Out here, with nothing but blue surrounding me and the city already miles away, I feel a rush of giddy excitement. It’s a special journey, deserving a name more romantic than the “West Seattle Water Taxi.” But perhaps its pragmatic name is part of the reason why this experience is such a hidden gem. For $5.25, you can hop on a water taxi from the Seattle waterfront and enjoy a 10-minute boat ride across Elliott Bay to West Seattle, the city’s largest neighborhood. Awaiting the water taxi at Pier 50 in downtown Seattle. Photo: Margaux Helm. But oh, what a 10 minutes it is. Be sure to snag a spot on the water taxi’s upper deck. I did – and as the boat pulled away from Pier 50 in downtown Seattle, I was rewarded with uninterrupted views of the skyline – Space Needle, Seattle Great Wheel and all. Shutterbugs (myself included) delight at this opportunity to snap pics only possible from the water. All aboard! Head up to the top deck for stellar panoramas. Photo: Margaux Helm. Once I had happily documented my sun-drenched ride, I paused to take in the golden city stretching before me. 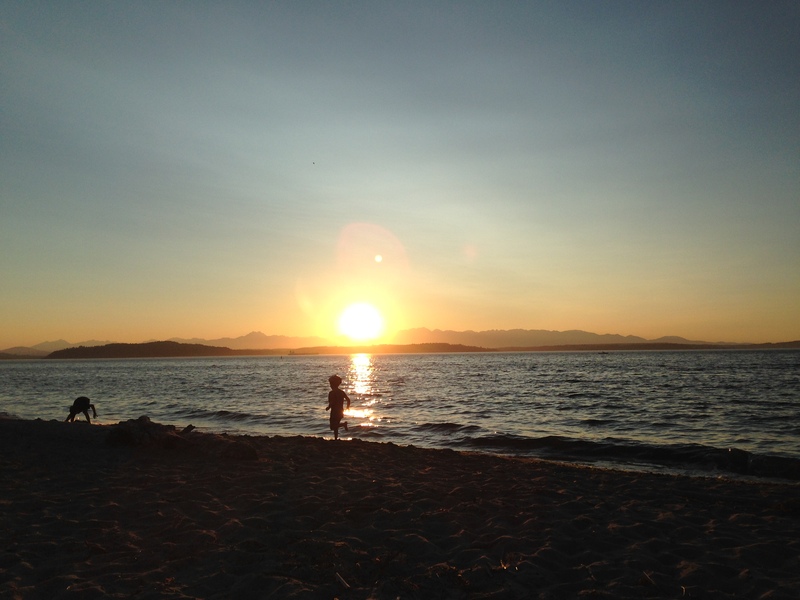 Not that I’m biased or anything…but Seattle is a beautiful place. And it’s especially striking when viewed from the waters of Elliott Bay – be it by ferry, water taxi or paddleboard. 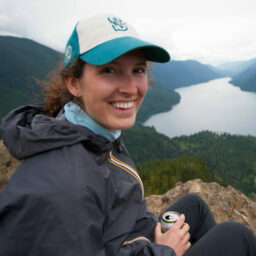 Skyline views abound en route to West Seattle. Photo: Margaux Helm. My adventure luckily didn’t stop when the water taxi did. After the boat bumped softly against Seacrest Dock on the West Seattle side, I walked right over to a free shuttle conveniently awaiting me at the road. 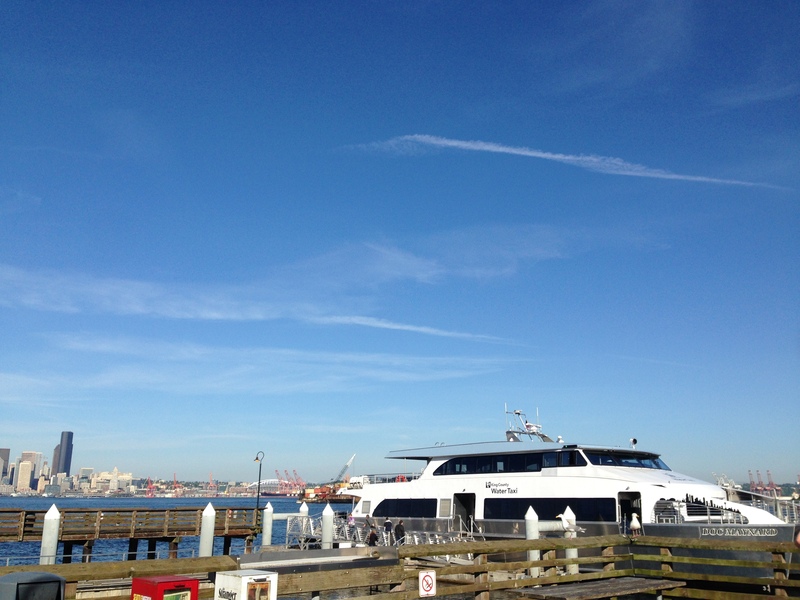 There are two free shuttles that pick up from Seacrest Dock: one takes passengers up to the West Seattle Junction, the neighborhood’s retail and restaurant hub, and the other takes passengers to Alki Beach Park – where I was headed on this unseasonably hot April evening. 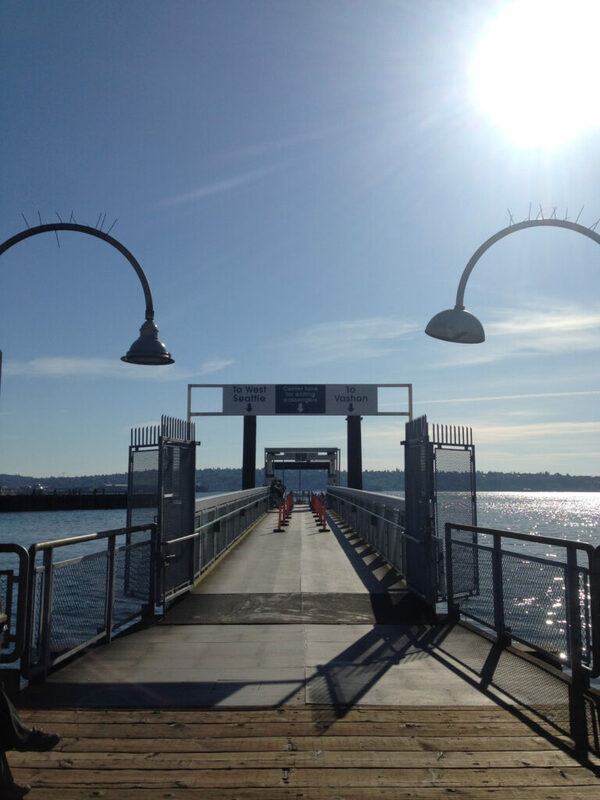 The speedy 10-minute journey ends at Seacrest Dock on the West Seattle side. Photo: Margaux Helm. TRIP TIP: If you’re hungry, delay your shuttle departure until the next one – about 30 minutes – and grab a bite at beloved Hawaiian-Korean fusion restaurant Marination Ma Kai, located at the ferry dock. As I stepped off the shuttle and onto the beach 15 minutes later, the sounds of laughter and a gust of warm air greeted me. Being at Alki Beach Park feels like you’re in some kind of beach paradise – a place you’d only find in a picturesque little town tucked away on the coast. This delightfully sandy, long beach overlooks Puget Sound and the Olympic Mountains, making it an incredible spot to be at sunset. 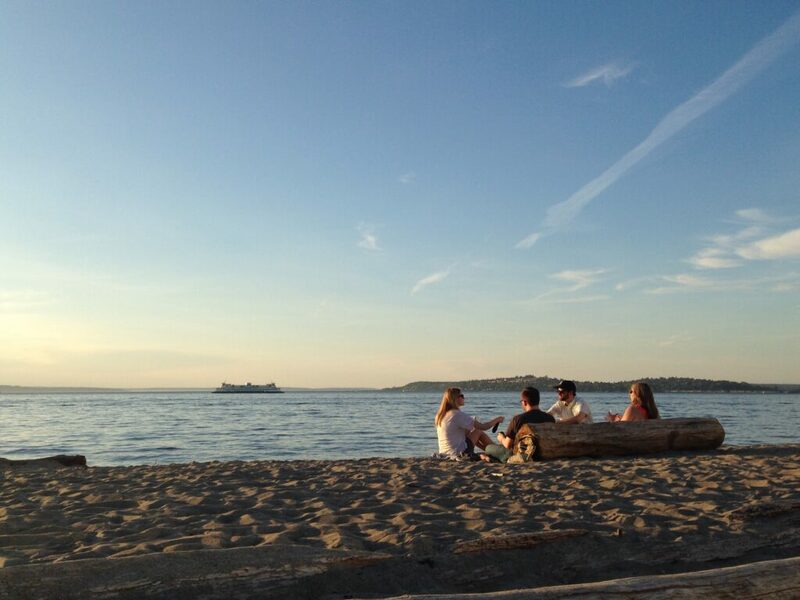 Lounging on the sand at Alki Beach Park – a favorite sunny day pastime. Photo: Margaux Helm. That evening, my feet treading the warm sand, I walked by people flying kites, families having elaborate, delicious-smelling bonfire cookouts, groups playing rowdy games of beach volleyball and – my activity of choice – friends lounging and chatting in the sun after a long day. So whether you’ve been to Seattle hundreds of times or you’re new to the Emerald City, be sure to pack your sandals and beach towel. This picturesque beach adventure is only a water taxi ride away! 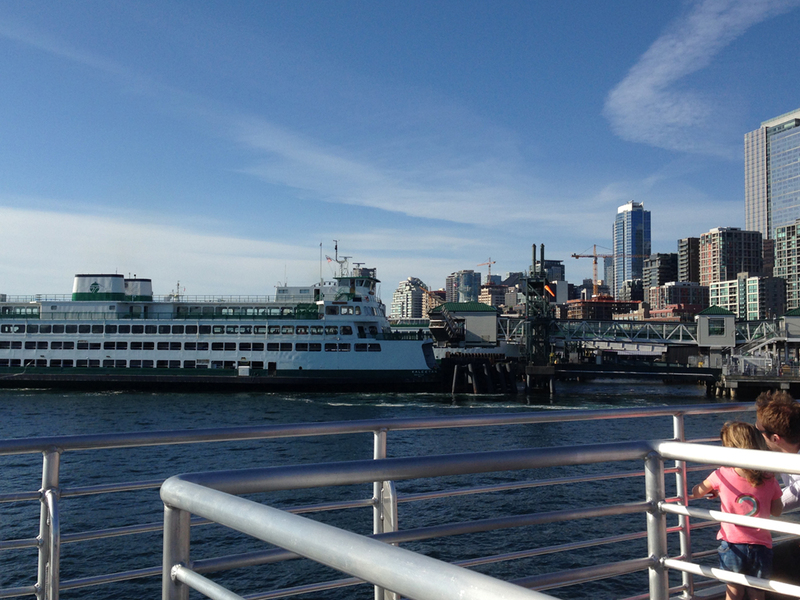 For more information about the West Seattle Water Taxi, including daily schedule and fares, visit: kingcounty.gov.